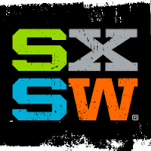 At the ongoing South by Southwest Interactive (SXSW) in Texas, virtual reality has generated the most buzz by far, as reported by Adweek. It’s not even close. As measured by Twitter impressions, VR had 102.4 million impressions. The next closest tech topics were self-driving cars with 45.1 million impressions, mobile apps with 32.6 million impressions, and robotics with 30 million. 3D was a distant fourth, with 8.8 million impressions. Is the “Olympus TG-Tracker” a 360 camera?